spectacular as some others in Malaysia, like on nearby Langkawi. History and culture abound, however, with Buddhist temples, mangroves illuminated by fireflies, and a mix of Hindu and Chinese (the ethnic majority) cultures. Penang's capital George Town, which is sometimes referred to as 'Penang', is a UNESCO World Heritage Site encompassing Little India and beyond. Resembling a mink pelt, this island off the coast of Malaysia is a treat for the senses, especially taste. Penang is unique because it offers a lot of Chinese history. The mansions, especially, are very beautiful. If you love food, Penang is INCREDIBLE! I have never been in a place I could eat in a better way. 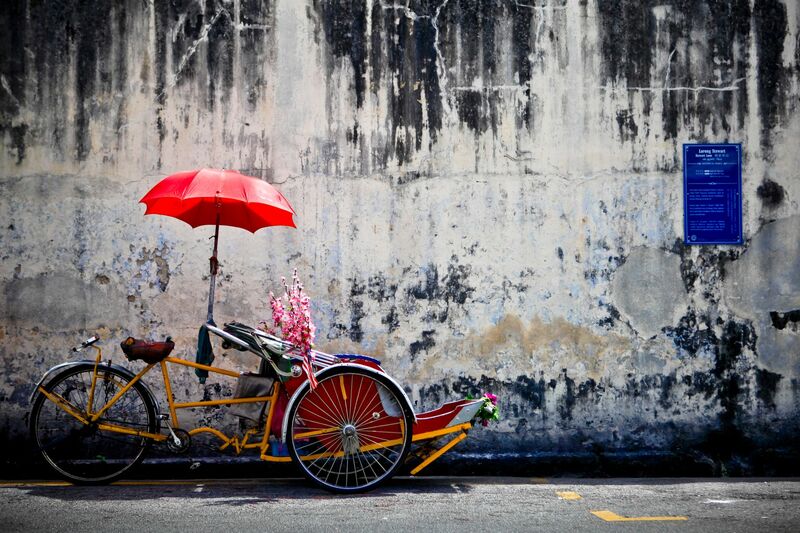 Penang is beautiful island and known as 'Eastern Garden'. Here not only can found beautiful sand and sea but also street food. Pinang Island is hands down, favorite place of the locals and visitors due to their artsy vibe, pleasant environment, and food. There's a big population of Chinese as well as Indian community. The main city George Town is Unesco world heritage site. Penang is the place where you should definitelly go for cheap and amazing Malaysian food. Small island full with friendly local people. Good foods, local cultural, typical street art, round islands. Nice city with a lot of good cheap food options. Great place to spend a long week end. The weather can be a bit stifling, but you can always find a mall with insane AC to escape the heat for a while. I've had a few bad experiences in Penang. The only thing I rally like here is the food and architecture. I came with some thai baht and was looking for a place to exchange money but they were all closed. I looked for an ATM but there were none around except in a 711 10 minutes away that didn't even work. I finally gave up and went to sleep, was a rough sleep because the Malaysians next door were very loud and noisy (has happened onany occasions). Overall the place is dirty and the locals(most of them) are rude. The only reason I come here is to get my Thai visa, that's it. Why not try to visit Malaysia. not Kuala Lumpur (Its too commercial) but Penang. small Island at the northern of Malaysia. full of historical heritage, local culture, great foods tropical forest and beautiful beach. there are many backpacker in the Georgetown area.